I am a Licensed Clinical Professional Counselor and a Registered Art Therapist with the American Art Therapy Association. I enjoy working with client’s who are open to using the creative process and art materials as part of the process of supporting their mental wellness. I work with children (5+), adolescents and adults. Areas of challenge and change that I work best with include: self-actualization, self-image/body image, anxiety, depression trauma and high functioning Autism Spectrum. Art can give a voice to experiences and emotions that defy language. It can be a safe space to explore worry, hurt, fear, shame and sadness. 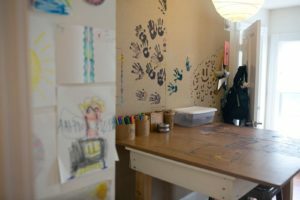 Art is intuitive at any age and is the natural language of children. 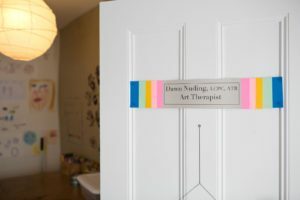 Art Therapy sessions with me are strengths-based, client centered and utilize a gentle approach to foster a client’s confidence in their own ability to address the change they are seeking. You are the expert in your life. I work with client’s to provide tools for fostering that expertise. I completed her Bachelor of Fine Arts at Pratt Institute in Brooklyn, New York and received her Masters of Art in Art Therapy from Saint Mary-of-the-Woods College in Indiana. 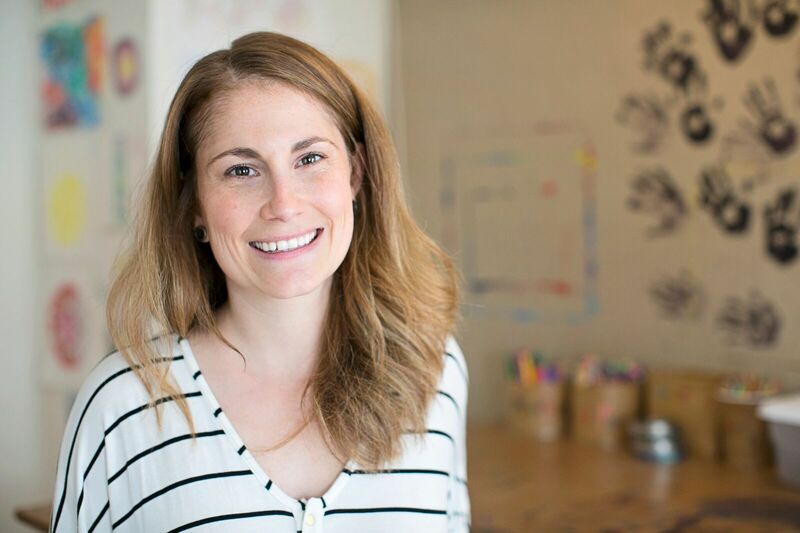 I am a Licensed Professional Clinical Counselor (LCPC) in the state of Maine and a Registered Art Therapist (ATR) with the American Art Therapy Association. I grew up in The Florida Keys and first came to Maine in 2007 when my husband was stationed with the Navy in Prospect Harbor. After briefly relocating to the Washington State, my family and I returned to Maine and are honored to be part of MDI and the surrounding community. I now live in Lamoine with my husband, daughter and standard poodle. I am an artist, hiker and zombie movie fan. Insurance companies will be billed directly, if desired, and the client will be charged the co-pay balance at the time of service (which depends on the client’s specific insurance coverage).